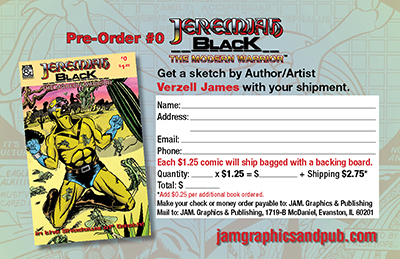 Join Jeremiah’s adventure with this full-color 0# one-shot edition, Jeremiah Black: The Modern Warrior is JAM. 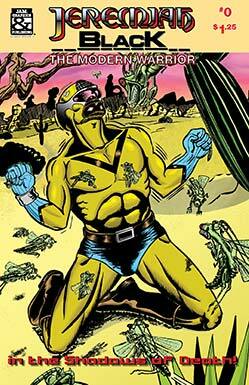 Graphics’ first slim line comic format. It features an eight-page story designed to not put a strain on your pocketbook. Pre-order your copy now! To place your order by mail ‘Click’ the card to download a printable PDF.